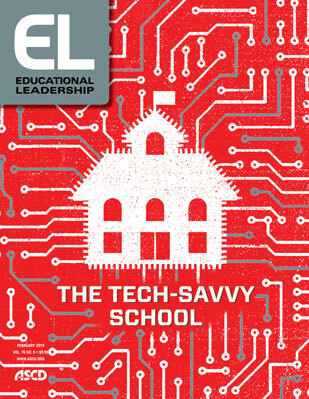 How one district reworked a failed ed-tech strategy to transform learning. Letting students engage with materials in a virtual environment can enhance math learning. Virtual and augmented reality programs can provide uniquely immersive personalized learning experiences. How an inner-city charter school is using technology to reimagine teaching and learning. Before launching a schoolwide technology initiative, leadership must build a sustainable professional learning infrastructure. School ed-tech initiatives are only as cool as the data-privacy safeguards that undergird them. Ed-tech training needs to go beyond specific tools and enable teachers with an adaptable, creative mindset. From a teacher's perspective, assistive technology should be the starting point of school ed-tech strategies. Technology doesn't change much in schools unless educators can push past convention. Videotaping a teacher's practice makes for a better debrief, more learning. Watch the video. If a teacher talks in a forest and no one hears, does she make a sound? Confronting Inequity / No More "Waiting on 16"
Honor students' experiences to curb the school pushout problem. Using ed tech effectively requires a second-order change. ASCD Policy Priorities / Start 2019 with Advocacy! It's not too late for educators to make some important New Year's resolutions. Readers share how they make sure technology isn't a distraction in the classroom. An interview with the founder and CEO of Girls Who Code, a nonprofit dedicated to closing the gender gap in technology education. Findings from the RAND report "Strategies for Implementing Personalized Learning While Evidence and Resources Are Underdeveloped." New and classic books to inspire your students' creativity. Expectations for teachers to use technology well are rising. Where to look for help? Try a school librarian. For teachers, blended learning can be a transformational trip worth taking. Two math teachers demonstrate the use of video to improve teaching practice. Watch the video.